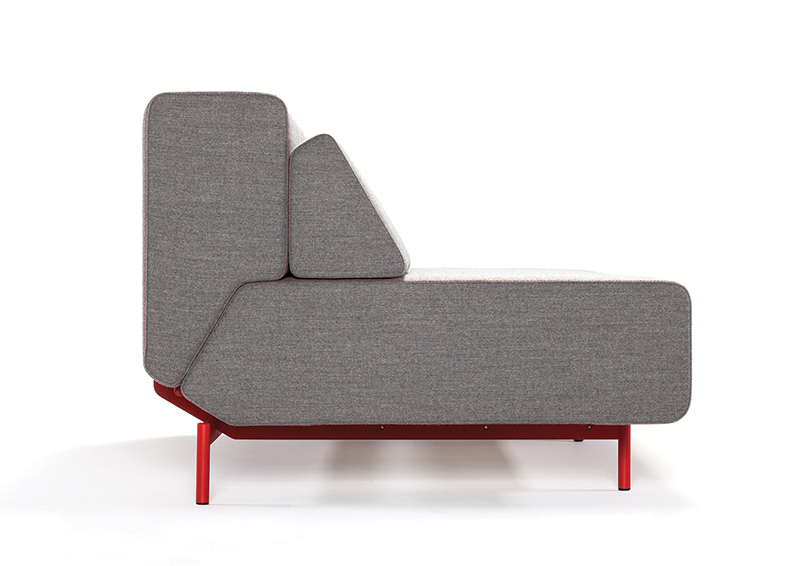 Sleeper sofa with fully reclining back that transforms into a sleeping surface. Structure in solid wood covered in HR foam and cotton wadding, upholstered in wool felt. Legs in coated metal. 79" x 41.5" x 31"H/18" seat height/61" x 79" sleeping surface.